There is one-time login upon your initial launch of an app. You must have downloaded the Authenticator app, mentioned above, for the setup to occur. Note: Once you’ve logged in to one app, the authentication will be recognized for the others. The only exception is the Outlook appwhich requires direct login. 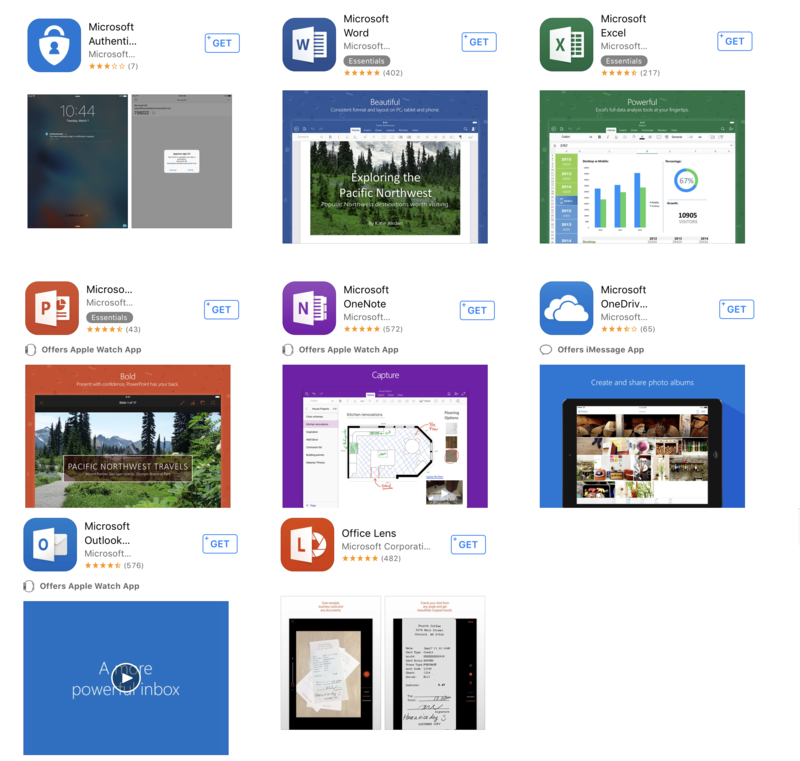 Open any Microsoft App for iPad (Word, PowerPoint, Excel, OneDrive). On the Get Started screen, select Sign In with Office 365. When prompted to sign in, enter your NetID@dartmouth.edu. When prompted with the Blitz login, enter your NetID and associated password. Touch [Create and Edit Documents]. Open – presents the user with the option to open a file from OneDrive or other files on the iPad. Once a document is open, the toolbars will reflect the app being used. The text editor for Word. The formula/table editor for Excel. The text and slide transitions editor for PowerPoint. Within OneDrive on the iPad, select the file to open/edit. The document should open in the appropriate iPad app once you click the prompt. Note: Depending on the version of Office in which the original document was created, there may be a few prompts to convert the file before editing. 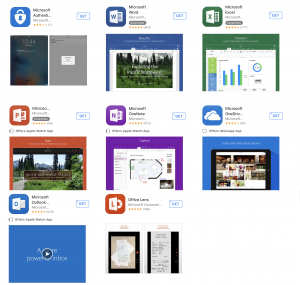 Files created on the iPad using Microsoft Apps can either reside on the iPad or be sent to OneDrive. The following instructions outline how to save a file to OneDrive. Click the file button at the top left of the App screen. Click Name to Name the document. On the left of the new window, select the location to which the item should be saved.